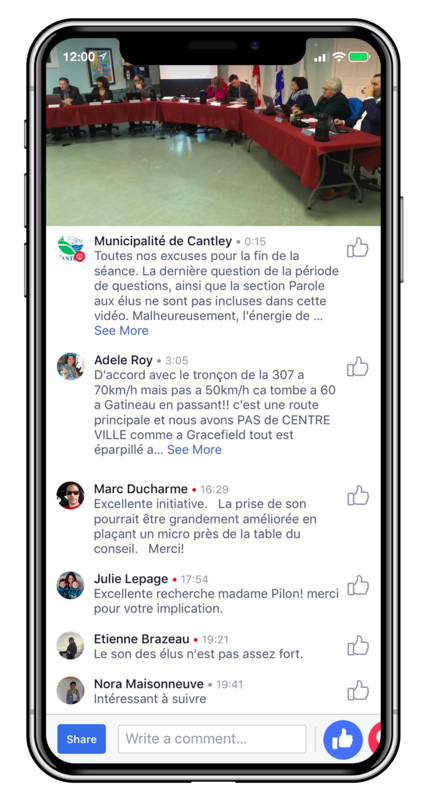 We invite you to visit our Facebook page for live broadcasts of council sessions. Please note that only questions asked in person during the session are accepted. Be there! Regular and special municipal council sessions are public. Consider this an invitation! The municipal council meets on the second Tuesday of every month at 7 p.m., except in special cases. Sessions are held at 47 Ste-Élisabeth Road, in the Wardens’ Room of St. Elizabeth Parish. Special sessions are also organized if necessary and are announced at least 48 hours before being held in accordance with the law. Regular and special municipal council sessions are public. Where: 47 Ste-Élisabeth Road, in the Wardens’ Room of St. Elizabeth Parish.